I read this short novella on my Kindle before getting to the first book in the series. I'm one of those people that likes to read in chronological order. It's interesting to see how things start out. In this short novella we have Lauren, who is our main protagonist. She is a geek at heart, but she's not afraid to show it. At the beginning of the book a game of Truth or Dare is being played, and a boy called Seth is being spoken about. So straight away I want to know who Seth is and why he's a big deal to Lauren. Seth we soon discover is a nerd like Lauren, and you can see where the attraction between them lies. They were friends, but taking it to the next level is risky. I thought the general storyline was cute, and it leads nicely into Camp Boyfriend. Rock's writing is good and easy to understand. She has definitely developed some great characters. Overall it was a cute start to the series, and that's why I gave this novella four stars. Source: I received a copy from the publisher in exchange for an honest review. This does not affect my opinion on the book whatsoever; it's my true opinion only. 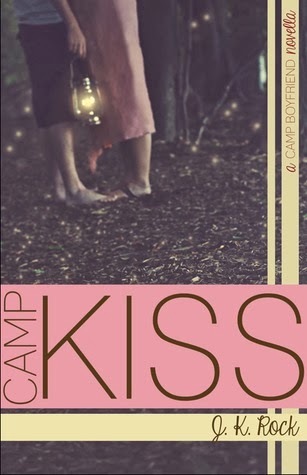 After reading the novella Camp Kiss I was intrigued to see what was going to happen in this book. So many things have happened and changed, which I found interesting. Not only has the main character Lauren changed everything about her life and hobbies, but she also has a boyfriend, and this makes things intriguing because of the 'Camp Boyfriend' AKA Seth. When Matt decides he wants to go to camp with Lauren, I was like "Oh, damn" and things got so much more exotic. I wanted to know what was going to happen next. In this novel, I did find Lauren annoying at times, but in the end she "manned up" and became a much better person for herself. Matt was just full of surprises, and you can really see he cares for Lauren. I honestly don't know why she was confused between Matt and Seth. I liked Seth in the prequel, but Matt definitely shone in this one. The storyline altogether was good. At times I felt it did drag a little though. Just like with the prequel, Rock's writing is great. Camp Boyfriend had a great start, and the ending was cute. I did like this book and in the end rated it four stars.